Dress up at Halloween. Is it a good thing to do or not? Can you dress up and celebrate Halloween without being dark? 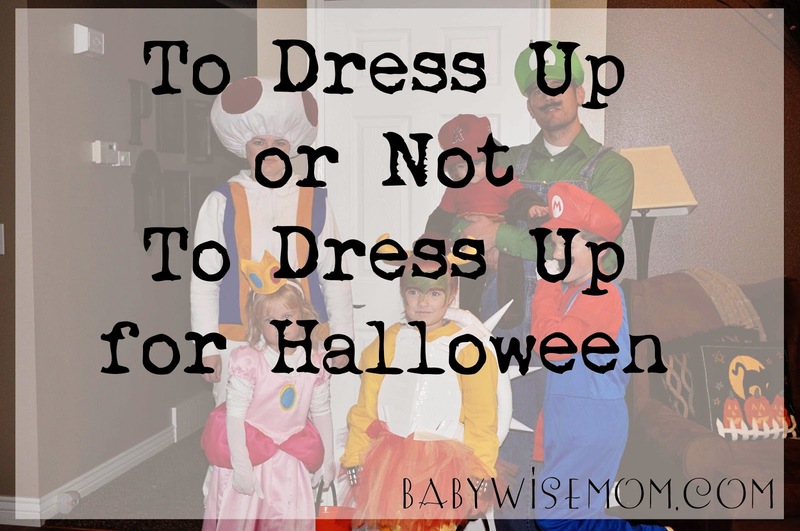 Yes you can dress up and have fun as a family! I recently asked readers on Facebook if they had any requests for posts that are “Fall” related. One reader suggested a post on whether or not to dress up for Halloween. 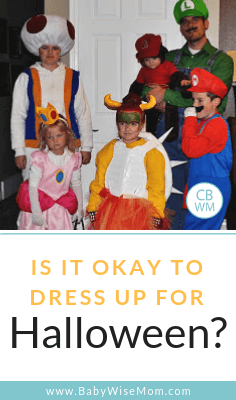 Is it okay to dress up in Halloween costumes, and if so, what is the line of what is okay and what isn’t. The short answer to this consideration is if you are okay with celebrating Halloween, then absolutely do dress up! I know many of you do not celebrate Halloween at all. I know many of you do, but want to keep it “good.” I wrote a post on Having a Happy and Wholesome Halloween last year with this in mind. You will see in that post that we really like Halloween at our house. We keep it clean and wholesome. One of our favorite parts is dressing up. Even my husband and I dress up. In fact, on top of dressing up for Halloween day, we host a grown-up Halloween party at our house every year where our friends come in costume. Luckily, we live somewhere where the grown ups don’t use it as an excuse to wear nothing. I know that isn’t always the case. Sidebar, when I was in college, they had a big Halloween dance every year where people dressed up. Our church has an Institute of Religion right by the campus, and they also had a dance that night each year. I was surprised they would compete (yes, I can be naive at times). Imagine my little freshman shock when I went to the school dance and saw girls wearing literally nothing but saran wrap. Literally. So yes, I do know that in some instances, costumes are not a wholesome, fun, innocent activity. Okay back on track. We have always picked a family theme and dressed up along that line (you can see pics in that post). 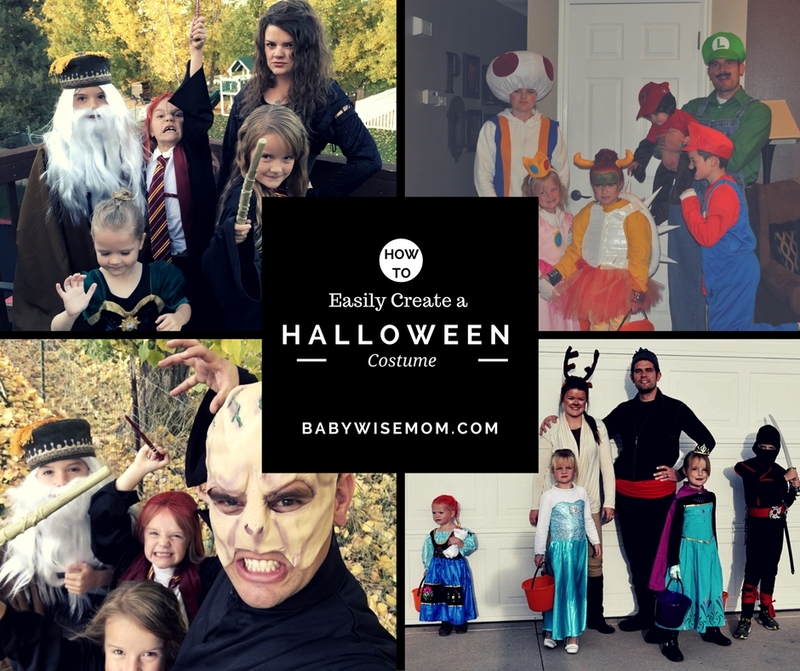 Dressing up as a family is a fun way to build family unity and tradition. There is nothing wrong with dressing up as individuals, however. Don’t feel like you need to be themed. Don’t feel like you need to dress up, either, as parents, though I can promise you that your children will think it is totally awesome if you do. A conundrum you might face if you do not celebrate Halloween is what do you do about dress up days at school on Halloween day? This is my advice to you. Treat it as a dress up day and let your child dress up as something to go to school. If you do not want your child exposed to costumes at school, then I would just keep your child home that day. In the end, you know your area and you know what things will turn into. You know what you feel is right for your family and what isn’t. It is great to get opinions from others around you, especially parents you respect and have similar values with. In the end, do what you think is preferable for your family. Dressing up is not inherently bad. Kids love to play dress up. If you want to have fun with it, you can. Do you dress up? Do your children? What is it like where you live?